• Post the signing of the Regional Comprehensive Economic Partnership (RCEP), India’s exports to the region are likely to increase by US$ 5.5 billion annually, with the highest increase to China followed by Vietnam and Thailand. • India’s imports may increase by a whopping US$ 29 billion annually post-RCEP, implying a revenue loss of as much as 1.3% of GDP. • At the product level, export is likely to be highest in ores, slag and ash (HS26) followed by cotton (HS52), raw hides (HS41), cereals (HS10) and vehicles (HS87). • Despite the overwhelming odds, there lies a vast potential, provided India is able to negotiate a proper trade policy and provisions in the coming days. The changing landscape of international trade negotiations has implied an emphasis towards mega trade agreements. 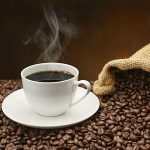 This approach is seen as a stepping stone towards a global free market economy, with many countries expecting it to stimulate economic growth, boost trade and investment, reduce poverty and increase employment. Keeping this in mind, a number of countries have completed bilateral free trade and investment agreements in the Asia Pacific region and more deals are presently underway. India has also signed, and is in the process of signing, many bilateral and regional Free Trade Agreements (FTAs). These regional FTAs include the Bay of Bengal Initiative for Multi-Sectoral Technical and Economic Cooperation (BIMSTEC); South Asian FTA (SAFTA), Indo-ASEAN FTA, RCEP, etc. RCEP is all set to be signed in the near future, which raises many questions with regard to its impact on countries like India, particularly the highly vulnerable agricultural sector. The agreement involves ten members of ASEAN and its six FTA partners – India, Australia, China, Japan, New Zealand and South Korea, which together account for over 34% of global GDP, and about 40% of global trade in goods and services. For India, issues of tariff rate are as important as other areas under negotiation, mainly because India does not have trade agreements with all countries involved in RCEP. For instance, India does not have an FTA with China and the negotiations with Australia and New Zealand have still not been concluded. Similarly, tariffs on many product lines are yet to be eliminated for the countries where India’s agreements are already in effect. The post-RCEP regime is likely to worsen India’s trade balance with the RCEP block. However, it is not clear where India can benefit from the RCEP in a way that can compensate the losses from other chapters of the RCEP. In all likelihood, a more aggressive push for a greater market access in services will benefit India and reduce the gap in the trade loss. India’s imports may increase by a whopping US$ 29 billion annually during the post-RCEP period (WITS Simulator), implying a revenue loss by as much as 1.3% of GDP. India’s imports are expected to increase by around US$ 30 billion post-RCEP. 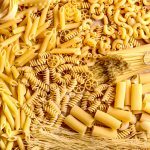 The increase in imports will be the highest from China followed by South Korea and Japan. On the other hand, India’s increase in imports will be the lowest from Cambodia, preceded by Laos and Brunei. At the commodity level, India’s import is likely to experience the highest increase in machinery, electrical and mechanical equipment (HS84 and HS85) followed by ships, boats and floating structures (HS89), animal or vegetable fats and oils (HS15) and wood and articles of wood (HS44) from these RCEP participants. 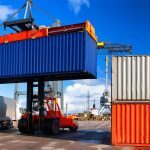 India’s exports are likely to increase by US$ 5.5 billion annually, with the highest increase in exports to China followed by Vietnam and Thailand. There will be no net increase in export of goods post-RCEP, as a relatively low growth in exports will widen the trade deficit, which was estimated at over US$ 78 billion annually (in 2014). At the product level, export is likely to be highest in ores, slag and ash (HS26) followed by cotton (HS52), raw hides (HS41) cereals (HS10) and vehicles (HS87). These top 5 products would account for more than half of India’s rise in exports to the RCEP bloc in the post-tariff elimination period. 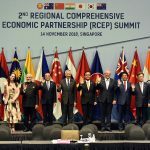 RCEP can act as a catalyst in heralding major trade-related reforms unheard of in the post-WTO regime. 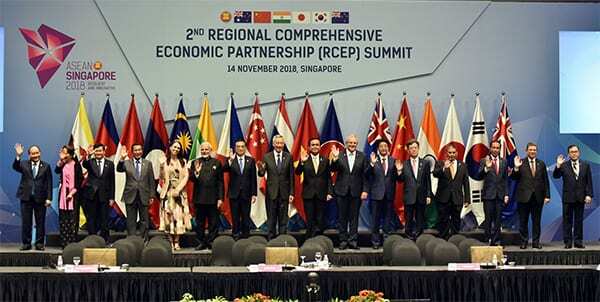 Experts say that RCEP will give Indian exporters a window as well as a cushion to be a part of global value chains. It is hoped that implementation of RCEP will change the fate of manufacturing in India and turn around the overall economy. Regarding India’s gain from RCEP, there will be clear answers only after the deal takes the final shape. Extending the argument further, growing economic partnerships of RCEP members with the rest of the world could increase trade diversion, thereby hampering India’s export growth to these countries. On the other hand, given the increased trade volume among the partner countries, there lies a vast potential, provided India is able to negotiate a proper trade policy and provisions in the coming days. Enquiry for RCEP negotiations: Is India destined for a losing proposition?